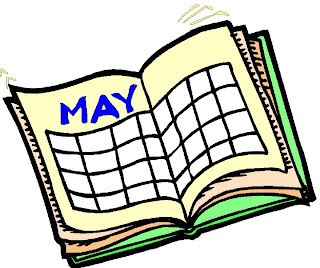 Happy May, everyone! Crazy to think that tomorrow is already Cinco de Mayo, a fine excuse to celebrate with good food & drinks, even though the celebration isn’t technically ours (still, most of us are willing to join anyone’s party). I doubt I’ll be partaking in any of these celebrations since beer & early week hangovers aren’t really my thing, though I could seriously go for some guacamole. But that doesn’t mean that May won’t be full of good food and other fun stuff! Except for this crazy early-May rain, the weather will finally be perfect, and I am looking for it to warm up and stay warm! There’s so much more to do when the weather’s nice, including more Farmer’s Markets springing up, as well as random food festivals. And of course, barbeque season – along with summer (unofficially) –starts at the end of this month, so I’m pretty excited. After doing some spring cleaning over the weekend, I was finally able to pull out my little BBQ from its confines in my storage closet, so I’m hoping to finally start putting it to use and finally honing those skills! ~ Folks were so receptive of my very first drink recipe (Sweet & Fruity White Wine Sangria), that I thought it’d be fun to feature another one. It’ll probably be another version of sangria, but it’s oh-so-tasty. ~ Breakfast for dinner – could there be anything better? Sometimes, I think not! Stay tuned for some hearty breakfast/dinner options this month, like seafood omelettes and more crepe concoctions. Mmmm, breakfast……. ~ Warmer weather brings with it barbeques and backyard potlucks, most of which wouldn’t be complete without some sort of potato salad. I’ve been tossing around the idea of a rather non-traditional version that I may just have to feature sooner rather than later, because it should be a good one. And relatively healthy (you know me & too much mayo don’t mix…)! ~ Is it possible to make a meal from stuff you get at a mini-mart? Of course it is; I just haven’t a clue as to what that meal might be. Someone challenged me to do this, and I’m gonna! Look for the Mostly Mini Mart Meal later this month! ~ Yours truly has been tagged for yet another article regarding PGEW.com! As soon as the story is done, I'll give you guys all the details. You are providing an incredible public service, Ms. Morales. Thanks for sharing your knowledge & experiences with us. We're on the same page with the shrimp and the cheese!